While Microsoft is scrambling to regain lost ground in the education sector, Google has set their eyes on an even bigger prize with the help of VMware. This week Google announced collaboration with VMware that includes integration with the Workspace One virtual desktop platform. The partnership will be aimed at helping corporations and business entities make the transition to Chrome OS devices a bit less painful. 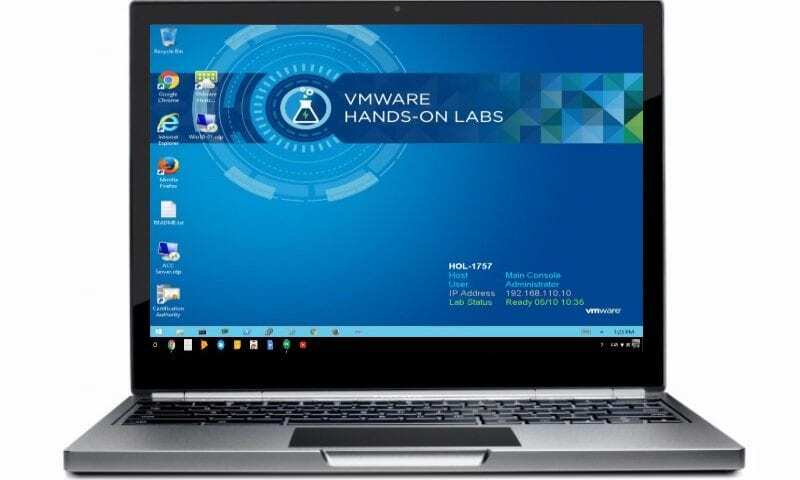 I had some experience with VMware’s Horizon virtual platform a few years back and I can attest to its ease of use and dependability. I was working in an environment that utilized a CRM software that was dependent on Microsoft Silverlight. I had already made the switch to Chrome OS (which doesn’t run the Silverlight plugin) and was looking for a workaround so I didn’t have to return to my antique, company-provided ThinkPad. I was pleasantly surprised at not only the stability of VMware but the speed. Running Windows on a remote server and pushing it to my HP Chromebook 14 was a breeze. I was able to run our software in real-time with very little latency and encountered no problems installing or executing programs. VMware’s newest platform, Workspace One, is already up and running. 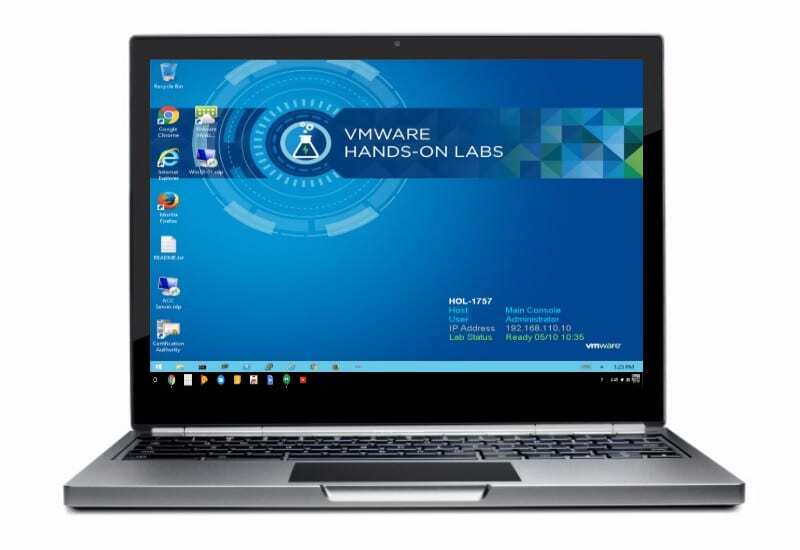 Users can test the virtual desktop with a 60-day free trial to see if it will be a good fit for their needs. Creating a stopgap for companies while they work out the details of migrating data and implementing new software is a BIG business and Chrome OS just got a big leg up on the market. With the help of Workspace One, enterprises can now push forward with the deployment of new, cloud-based Chrome devices without having to find a solution for software-dependent protocols. Combined with the Google Management console, this means major streamlining for companies and time saved means more money earned. Workspace One also builds on Chrome OS’s already secure platform. Workspace ONE on Chromebooks and other Chrome OS devices simplifies the secure login process with SSO or single sign on. Employees can then access the applications they need to get work done through a managed software catalog. This means not only are the Chrome devices managed via the admin console but the virtual desktop is also managed and cataloged by administrators. Everything is then packed up in one, secure framework accessible with the employees single, unique credentials. Is your company using Chromebooks? We’d love to hear how you’re using them and what your impressions are so far. Drop us a line or comment below.